A "one-stop-shop" ecosystem portal application to showcase real-time information about ecosystem people, startups, events, support services, development projects and beyond. ​Ecosystem Information Portal, managed by ecosystem developers together with digital ecosystem team, help startups, entrepreneurs and other business cretors find the right services and connections at the right time based on their startup development phase, location, type, time and more. Portal help support providers to communicate and target their services for specific needs of the business creators and other smaller service providers, while helping ecosystem developers to maintain public record of all ongoing ecosystem development initiatives and projects with priority and status tracking. find co-founders, events, mentors, investors, etc. find interesting startups to join as co-founder, investor, mentor etc. find services, communities and events to network for relationships, syndicated investments etc. 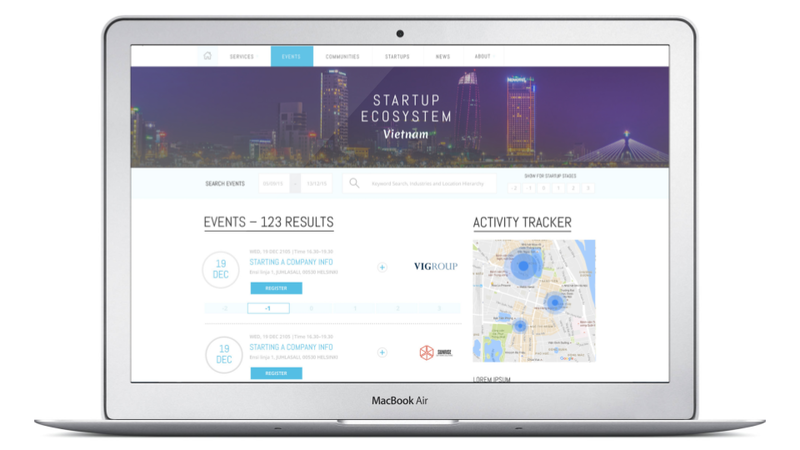 Fix the fragmentation and disconnectivity of your ecosystem information with “one stop shop” ecosystem portal connected with your real-time information about services, events, startups, statistics and more. "Network connectivity within and between the ecosystems is the single most important contributor to growth."